Get Clean. Stay Clean. : Great Expectations? I expect a lot in life. For example, I expect to wake up tomorrow morning. Yes, I think that is a reasonable thing for life to provide for me, namely, another day 6 feet above ground. Most people would agree that it is reasonable to expect to continue living. However, on average, 250,000 to 300,000 people die per day around the world. They probably expect to live too. Disappointing, I'm sure! Sometimes, I get disappointed as well. For example, I expect to be a millionaire. It hasn't happened yet. Of course, if you make 'yet' an acronym (i.e. 'y.e.t'.) it stands for 'Your Eligible Too', it is always a possibility! However, I have kept my day job, ergo, this new blog for you to read. We all have expectations. There is nothing wrong with expectations. The problem comes when our expectations and reality don't exactly match up. And when they don't match up, it can be the perfect storm for a relapse. People often use disappointment from crushed expectations as an excuse to use drugs and/or alcohol. As a matter of fact, people can even go so far as to create really unrealistic expectations so that they are more likely to be disappointed so they can then use drugs and/or alcohol! This disease is truly cunning, baffling,and powerful! Those who have had some time in recovery understand the importance of tempering our expectations with patience and a realistic view of life. It is likely that many of our expectations will not come true. That doesn't mean we need to relapse. And, to be sure, some of our expectations will come true and that is not a reason to relapse either! 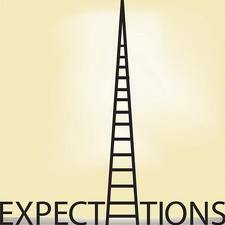 The number one reason to pay attention to our expectations is the potential for resentment to crop up when our expectations are not met. Resentment is not something an addict or alcohol can afford to experience because the majority are powerless against it. More people have relapsed due to resentment then I care to think about. At The Coleman Institute, we specialize in helping people get clean and stay clean from alcohol and drugs. We help people release their unrealistic expectations about drugs and alcohol so they can become healthy, sober people. If you or someone you love is in need of detox from opiates, alcohol, benzos, Methadone, or Suboxone, please do not hesitant to call Jennifer Pius at 1-877-77-DETOX (33869). Help, hope and healing begin here!